Crews will soon begin working on upgrades to the older section of the popular King of Prussia Mall. Roughly three years after completing a $150 million development that connected two parts of the King of Prussia Mall, Simon Property Group is embarking on another multi-million project at the retail property. Simon (NYSE: SPG) will renovate the interior of what many had known for decades as the Plaza section of the mall. Upgrades will be made to the common areas and other spaces will be remodeled with new lighting, finishes, flooring, seating areas and improved bath rooms. A project cost wasn't disclosed by Simon but an undertaking such as this is expected to cost multiple millions of dollars. 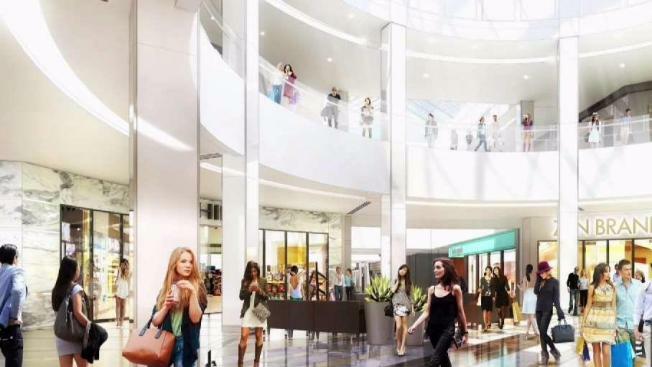 The work will be the mall’s ninth redevelopment project and the third in three years. One of the biggest projects at the property was the development of the Court, which was constructed in the early 1980s across from the Plaza. In the late 1990s, the owner of the mall undertook another ambitious project to remake the Plaza into an upscale retail destination and attracted such department stores as Neiman Marcus and Nordstrom. The most recent expansion involved building a 155,000-square-foot connector to link the Plaza and the Court sections of the mall and created a 2.9-million-square-foot retail mecca. With that addition, the two known names for the sections of the mall — Court and Plaza — were eliminated. Read more about the plans on PBJ.com. For more business news, visit the Philadelphia Business Journal.